Is a Million Dollars Sufficient for Retirement? If your goal is a comfortable retirement with a nice home and all the amenities a man could imagine, planning to retire with a million dollars in your retirement fund would be the stuff of dreams, and such money can ensure every facility available today, or so it might seem to the uninitiated. The million dollar question is whether this money will be worth much by the time you retire? Start off by visualizing what your lifestyle will probably be like when you retire. Then consider a million dollars as your final retirement funding goal. Next, you calculate backwards and figure out the savings you need to generate year wise for achieving that retirement goal. Do remember that the longer you are away from your retirement date, the more time you will be giving inflation to erode your hard earned savings. Inflation is currently averaging around 4% annually. Now figure out what this rate of inflation will do to your future savings corpus. Financial wizards have calculated and noted that within ten years a million dollars will be worth only $670,000 in today’s dollar terms; in twenty years it becomes $450,000; in thirty years it becomes $300,000 and in forty years it will be reduced to $200,000 in today’s dollar value. What this means is that if you want a lifestyle after retirement that matches what a million dollars can get you at today’s dollar value, you may have to invest much more than a mere million dollars to get anywhere close to your present day purchasing power. What kinds of lifestyle will this money support? Keeping a million dollar target may give you an idea how much you need to add to the retirement kitty annually, but what is equally pertinent is whether this money will support the kind of lifestyle that you desire. Remember that you need to pay expenses and still have funds in the kitty to last your entire post retirement phase. Here we can do some math based on valid assumptions like a six percent average return on your investment, the same four percent rate of inflation, and a combined period of retirement extending to twenty five years. If we were to retire with a million dollar fund in the present day you would be spending around $50,000 in the initial year, and this amount will be diminished by the inflation rate every subsequent year up to the expiry of twenty four years, when the fund dries up. So, what experts say is that a million dollar fund at today’s prices will be excellent for surviving over the coming twenty five years, but as a fund for future retirement it may not last long enough if you desire the same lifestyle choices that you enjoy today. Do remember that in any retirement planning you will have to grapple with many variables like interest rates, different investments and their varying return potential, the rate of inflation that diminishes money value, your combined social security income, and last but not the least your lifespan. A retirement calculator can give you a better idea how these variables influence your million dollar retirement plan. If the question is whether planning a million dollars is sufficient to retire on, the answer would be a big No, with inflation doing all the damage. Aspiring to be a millionaire is becoming more meaningless as the years go by. Even as you religiously save money, sudden emergencies will crop up that will demand instant cash, and there is nothing better than a loan for vehicle title to undo the damage. The installment loan in California will grant you 60% of the cost of your vehicle without questions asked regarding your credit background. The auto collateral loan charges approximately 25% APR, an interest rate that is sensible compared to pawn loans and inordinately expensive personal loans. The pawn car title loan is delivered faster and the car pink slip is the only collateral. Car equity loan repayments can be adjusted to one’s income quite easily. 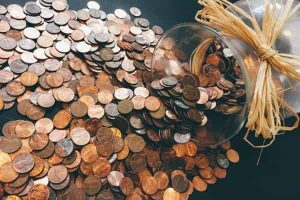 This sort of quick financial assistance will come in handy in tackling any cash emergencies that may erupt between now and retirement.